Brad Pitt has been going through some difficult times after his divorce from famous actress Angelina Jolie. The two were married for years and have six children, being one of the most famous Hollywood couples for quite some time. So, their separation came as a shock and things have definitely not been simple for the two actors. Mostly for Brad, who actually was in the middle of a huge scandal, being accused of child abuse and being investigated by several US authorities. Well, Brad was cleared of the allegations, but it has been claimed that the whole situation was too hard for the Hollywood star to handle. 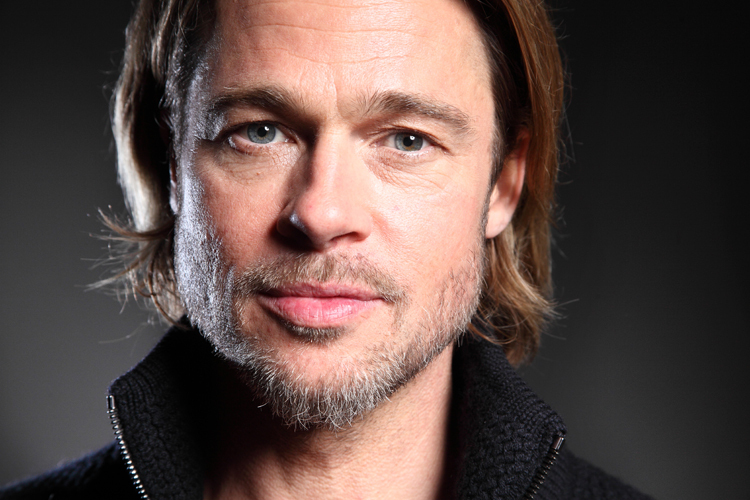 Some claimed that he was dealing with severe eating disorders, while others said that Brad was actually suicidal. Brad seems to love being a father and the famous actor talked about his children during this interview, as well. Brad said that his children are the most important thing in his life. He is the father of Maddox, Pax, Zahara, Shiloh, Vivienne and Knox. “Kids are everything. Kids are your life,” the star said. “They’re taking all the focus, as they should anyway,” he went on to say. Previous ArticleKim Kardashian Says Paris Robbers Tried to Rob her BeforeNext ArticlePrince Harry and Meghan Markle to Wed at Westminster Abbey?